Hi , for my classe im writting a software that receive a raw H264 by TCP Stream and i need to decode it to access the image with OpenCV. 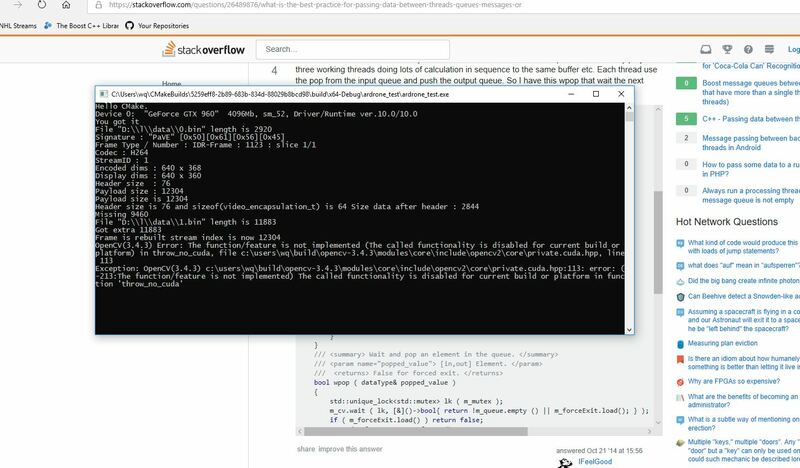 I'm trying to use the fonctionnality of cv::cuda::cudacodec to decode the stream with my GPU, it's handy because we use cuda after to apply transformation. But when i try to initialize a cv::cudacodec::VideoReader with my custom RawVideoSource i get an error like in the image. I build openCV with the nvcuvid but is this because im using cuda 10 and it's not supported ? If i can't use this , i should use libavutil ?